Sapphire uncovers its Radeon HD 7770 and 7750. It includes the regular models as well as a HD 7770 GHz Edition OC, which offers a clockspeed of 1150MHz and 1GB GDDR5 clocked at 5000MHz. 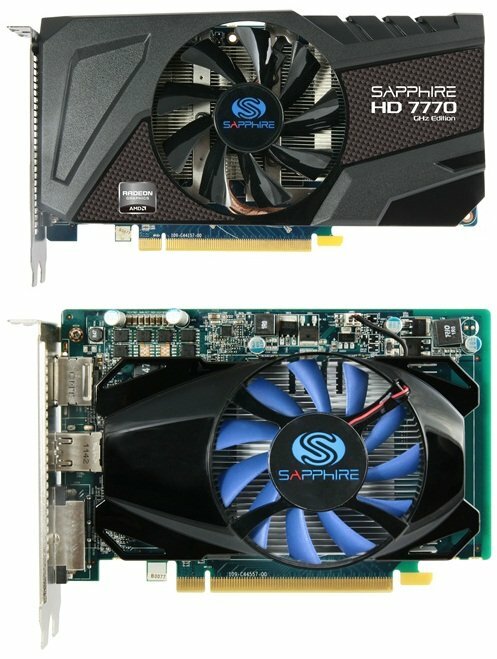 The new SAPPHIRE HD 7700 series is a new family of graphics cards targeting the enthusiast on a budget and mainstream users looking for increased graphics performance. It is based on the second family of GPU’s from AMD built in its new 28nm process and featuring the highly acclaimed GCN graphics processing architecture. The new HD 7770 and HD 7750 GPUs have an optimised internal structure sharing many of the features of the high performance HD 7900 series already released but with fewer Stream processors and a simplified 128-bit high speed memory interface to the latest DDR5 memory types. The SAPPHIRE HD 7700 series products are now available through SAPPHIRE’s established channel and etail partners.